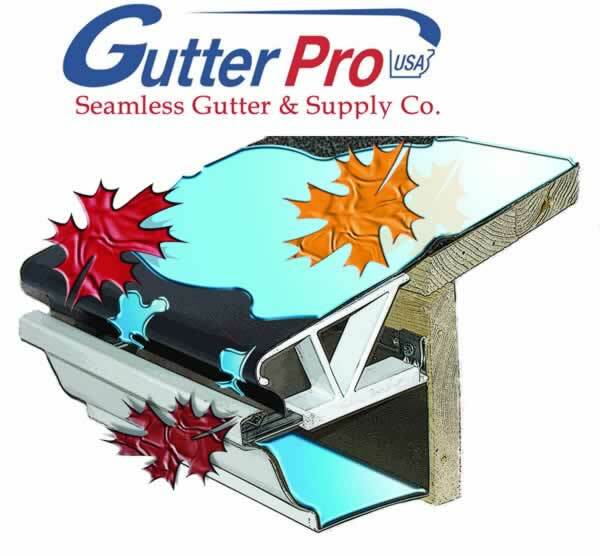 Gutter guards you've been waiting for! Gutter Pro USA™ believes that time is money, so we developed a patented bracket that slides over the existing hidden hanger. The gutter guard is then slid under the second row of shingles and fastened. Each panel is made from .027 gutter stock and cut to 5-foot lengths. This gives our gutter guards superior strength and stability - a strong sales tool over inferior products. It has been our experience that gutter guards can be installed in just a few hours (100 feet of gutter) on an average ranch home. Insurance Certificates are available upon request. All workers are covered under liability and workmen's compensation. The slides below show the process of a typical residential installation. For more information visit our FAQ page or contact us.